I know. fifty three books sounds like a lot. To be honest, I didn't finish all of them. Still—2017 ended up being a very productive year in reading. I hit my goal of finishing about two books per month, but wound up leaving about 53 books in various stages. This drove my wife crazy, as she has pointed out she finished 29 books "cover-to-cover," so while I might have opened more, she definitely finished more books (see her list here). I have a strange sort of set of rules for how I count books (this comes from years as an indie bookseller, where I needed to read enough to talk about a book, but didn't need to finish it). I think of getting past the half way mark as counting, audio books count, graphic novels count (of course), but I don't necessarily count picture books unless I buy them—otherwise my reading list would be much harder to maintain. What you'll find below isn't my full list (you can look though it here), but an unordered curation of a few of my favorites from last year. I'm not sure when I started subscribing to Ryan Holiday's Newsletter, but I've thoroughly enjoyed his monthly book recommendations without fail for a few years now. If you're a creator, small business owner, artist, advertiser, musician, or all of the above, this is a book you should read. Ryan's expertise in marketing and his thoughtful approach to craft are undeniable, and it's fascinating to delve into the supplemental case studies & research he so generously provides. This is exactly the kind of book I needed to read when I was first trying to figure out how launch my career years ago. Ugh. This was good. This was so good. Helen Oyeyemi's work has haunted me since I first saw a copy of Mr. Fox on a friend's table and I then spent a year trying to remember that novel with the striking Riverhead Books cover (their covers are always amazing—check out and maybe drool over their Instagram account). 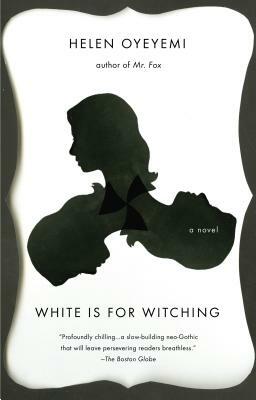 I found it, and then quickly devoured everything Helen Oyeyemi. Her work is mysterious, thrilling, touching, and always thought-provoking. This was a long overdue read. I've made my way through a few of Murakami's other books, but had continually put off reading what is arguably his best work because of it's sheer size. I'm glad I finally made the dive into The Wind-Up Bird Chronicle this year, because geez—it's riveting. I'm not sure I have anything worth bringing to the conversation about this book aside from stating the obvious: it's a great piece of literature. 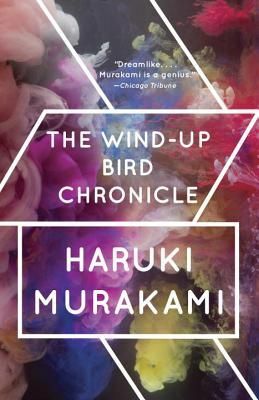 The Wind-Up Bird Chronicle delves into identity, mystery, absurdity, relationships, and the unknown with the deft craft one comes to admire and relish in Haruki Murakami's work. Like many in 2017 (it did win the Man Booker Prize after all), I was floored by George Saunders' first novel. I've been on a Saunders kick for the past couple of years after reading Pastoralia, The Tenth of December, every non-fiction piece I could find and having a constant hum of his lectures and interviews on repeat in my ear buds, so I was sure to start this as soon as it came out. Because of the structure, reading this took some getting used to (not to say that's a bad thing), and wow was it good—Saunders managed to threw form on it's head in an endearing, funny, strange, tearful, innovative read.